My Own Personal Pig Heaven. 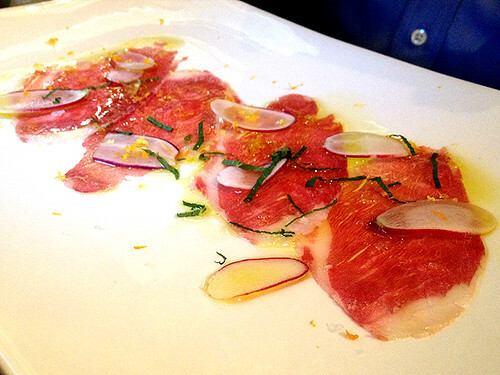 Beautiful Iberico de bellota crudo (aka raw pork), at PIGG. 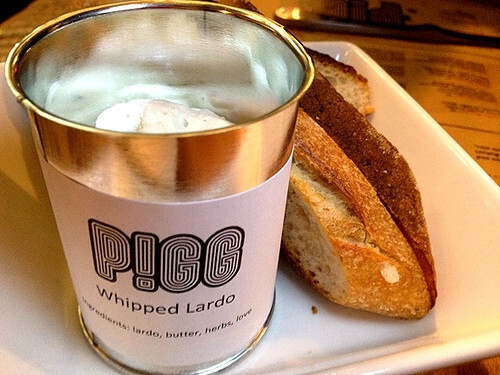 “Pork In A Can” Whipped Lardo (cured pork fatback) at PIGG. 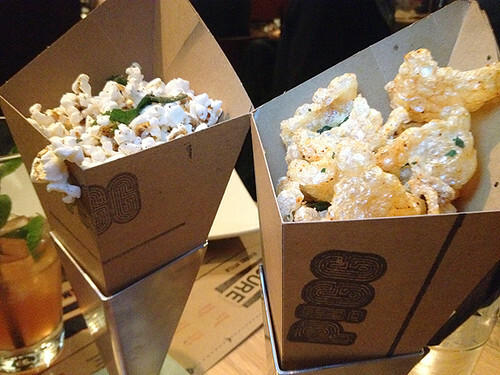 Right: Cone O’ Cracklins w sherry vinegar & sage at PIGG. 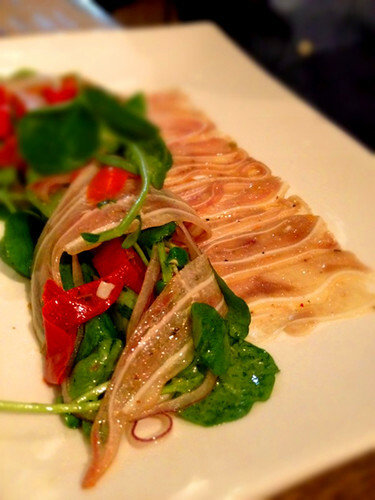 Pig Ear Salad at PIGG. 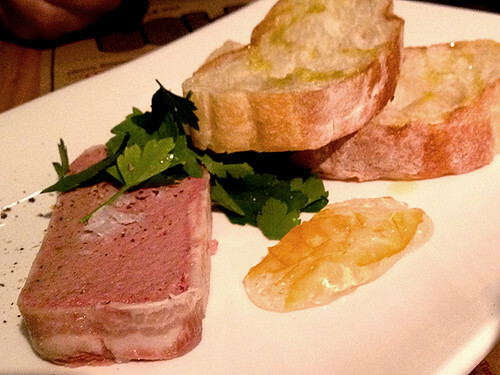 Pork Liver Pâté at PIGG. 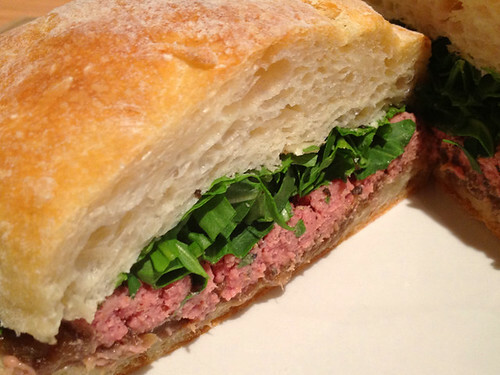 Pork Liver Pâté Sandwich with caramelized onions, arugula at PIGG. 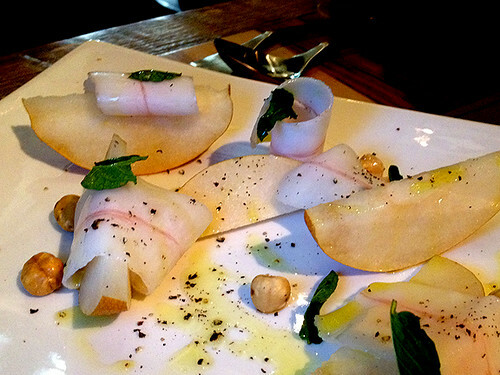 PiGG’s Asian Pears & Lardo. 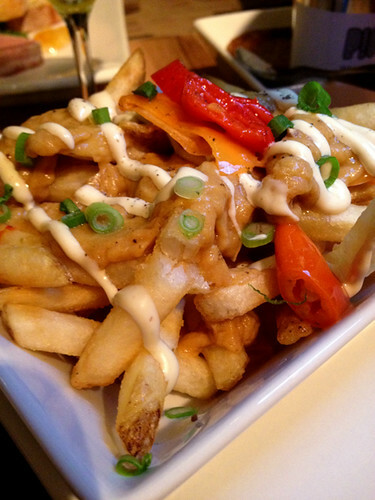 PIGG Fries w pickled peppers, ham puree & brainaise (aoili made of pig brain). Country Pâté Sandwich at PIGG. 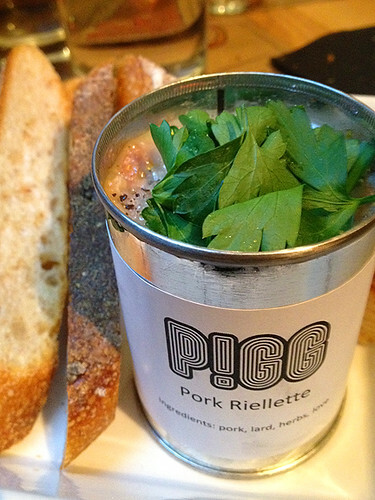 “Pork In A Can” Pork Riellette at PIGG. 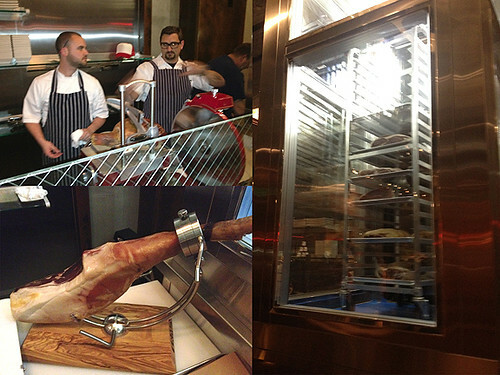 Douglas Rankin (I call him my “pork dealer”) & Chris Cosentino, “Tower of Pig” under construction (opening night). 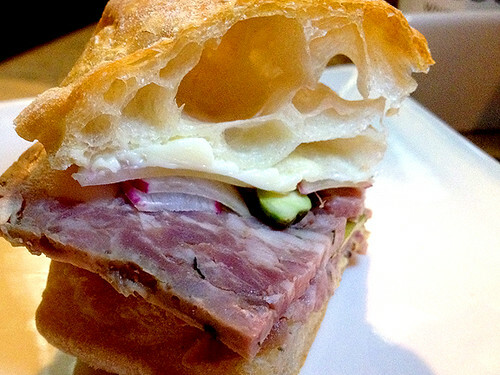 And YES, there’s so much more than just PIGG at Adam Fleishman’s UMAMIcatessen. 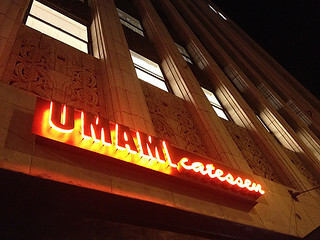 There’s Umami Burger of course, a “kosher-style” deli, a full bar, gourmet coffee, and a donut shop that serves a decadent FOIE GRAS donut! 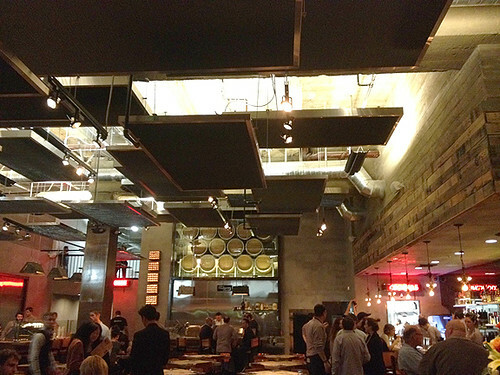 Just think of UMAMIcatessen as an awesome food court, except that you order items from each restaurant off of one menu. 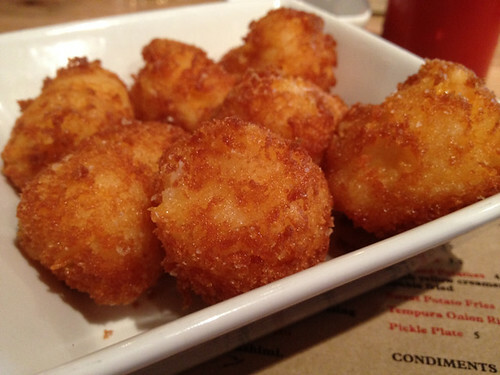 Cheesy Tots at Umami Burger (on the Secret Menu). 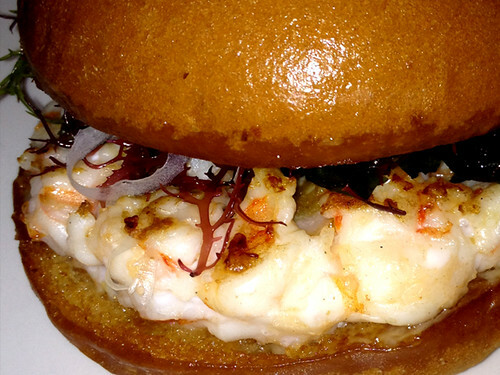 The Shrimp Burger with Yuzu-Kosho (paste made from chili peppers, yuzu peel and salt), Umami Burger. 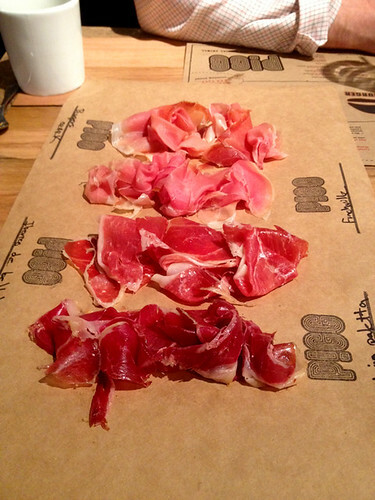 Note: Currently only available at the downtown UMAMIcatessen location. 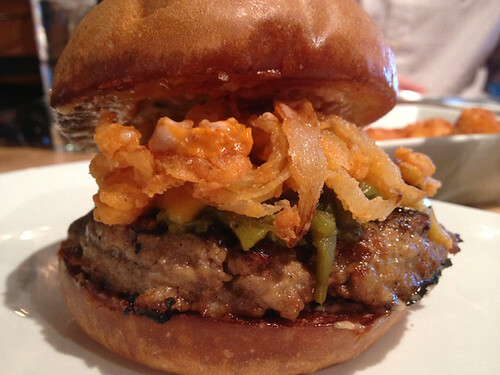 Greenbird Burger: Spicy turkey, crushed avocado, green cheese, butter lettuce, sprouts, green goddess, at Umami Burger. 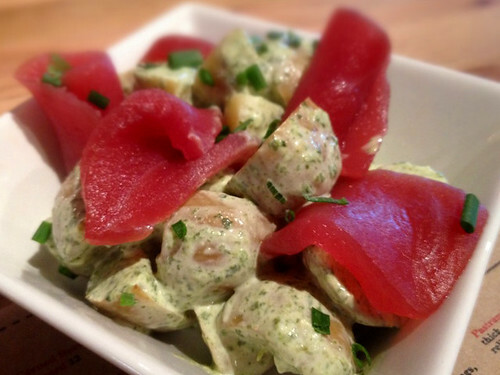 Wasabi Potato Salad with Sashimi, Umami Burger. 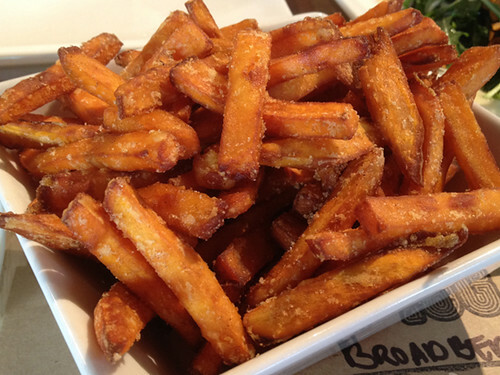 Sweet Potato Fries, Umami Burger. 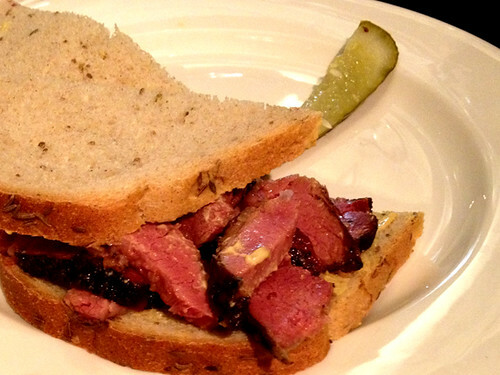 Pastrami Sandwich at the CURE deli. 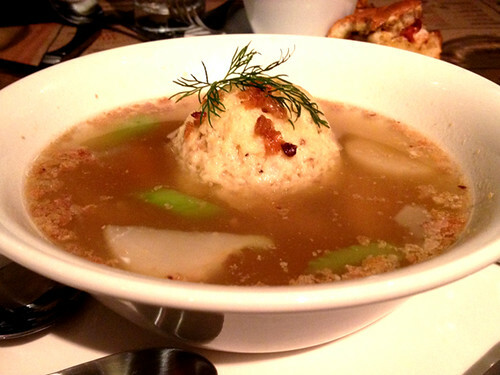 Matzo Ball Soup at the CURE deli. 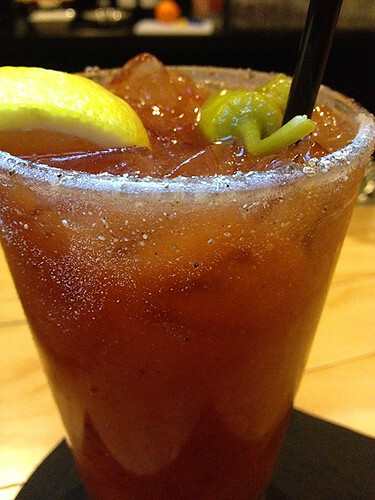 “Micha-Mami”: Corzo tquila, umami crafter spiced tomato juice, topped with beer with an umami dust rimmed glass at the Back Bar. 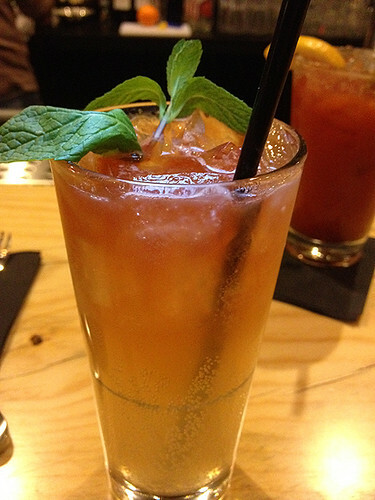 “Velvet Mule”: Beluga vodka, Velvet Falernum, Fresh lime juice, ginger beer and dash of Angostura bitters at the Back Bar. Tres Leches, Cajeta, Ceylon Cinnamon (cake). 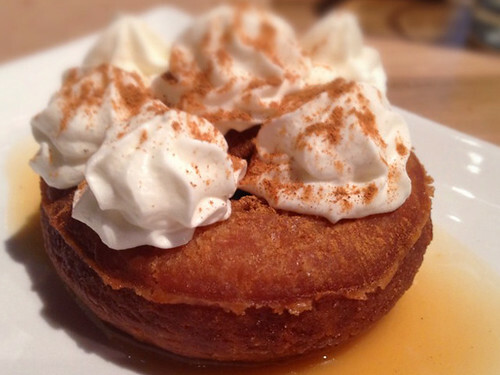 Donuts are fried-to-order at “& A Donut”. 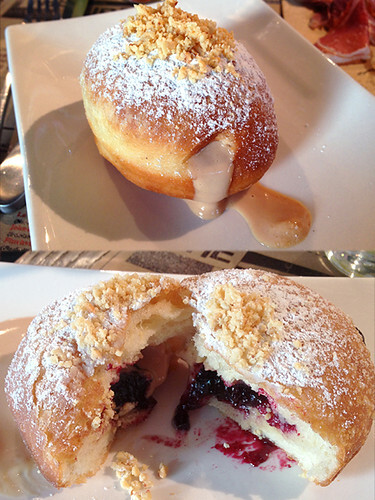 FG&J, Foie Gras Doughnut: Foie Gras Mousse, Robert Lambert’s Forrest Berry Jam at “& A Donut”. Photos above from three visits. Dishes shared with Peter, Akasha, Alan, Debbie, Julie, Dan and Stephane.